On March 22, a decision by the Massachusetts Appeals Court made a small but significant change in the authority of District Court and Boston Municipal Court judges to screen out criminal charges that may have been improperly issued or legally flawed. In Commonwealth v. Moore, the Appeals Court held that these judges cannot decide a motion to dismiss a complaint for lack of probable cause before a defendant is arraigned – that is, before a defendant formally faces the charges and pleads guilty or not guilty. This decision has the potential to substantially increase the number of people in Massachusetts with criminal records, many of whom may face adverse consequences from employers or others. This result will waste judicial resources and is contrary to the goals of the criminal justice reform bill that just passed the Legislature. It should be addressed promptly by the Legislature and/or reversed by the Supreme Judicial Court. To understand the implications of this ruling, some background on District Court (and Boston Municipal Court, which is essentially the same for these purposes) practice is helpful. Most criminal cases in District Court for less serious offenses start with a show cause hearing, unless the defendant is arrested. At these informal hearings, the complainant (usually a police officer) must present sufficient evidence (usually a police report) to establish probable cause – a reasonable belief that the defendant committed a crime. If a clerk-magistrate finds that the standard is met, he or she can issue a complaint, which states the formal charges against the defendant, and set a date for arraignment on the complaint, when the defendant first sees a judge and enters a plea of guilty or not guilty. Importantly, defendants do not have a right to legal counsel until they are arraigned. Once the defendant is arraigned, the charges show up on his or her criminal record permanently for court and law enforcement purposes, and at least while the case is pending, the charges will show up on a CORI check for an employer. And then, if the defendant wants to seal the record, he or she must either come back to court and demonstrate a specific reason to a judge why sealing is appropriate, or wait for multiple years. Anyone who has spent more than a few hours sitting in a busy District Court knows that charges are not always properly issued. Sometimes a defendant did not get notice of a show cause hearing – which happens frequently when people move and the court does not have the right address. Or a show cause hearing was not held at all, despite the legal requirement to do so. And frequently, defendants seek dismissal for lack of probable cause. Even though the probable cause standard is fairly easy to meet, defense lawyers often challenge a complaint for legal reasons or because the process that led to the complaint is defective. While show cause hearings may be rushed or held without lawyers involved, a judge has time to consider a motion to dismiss with the benefit of legal argument. 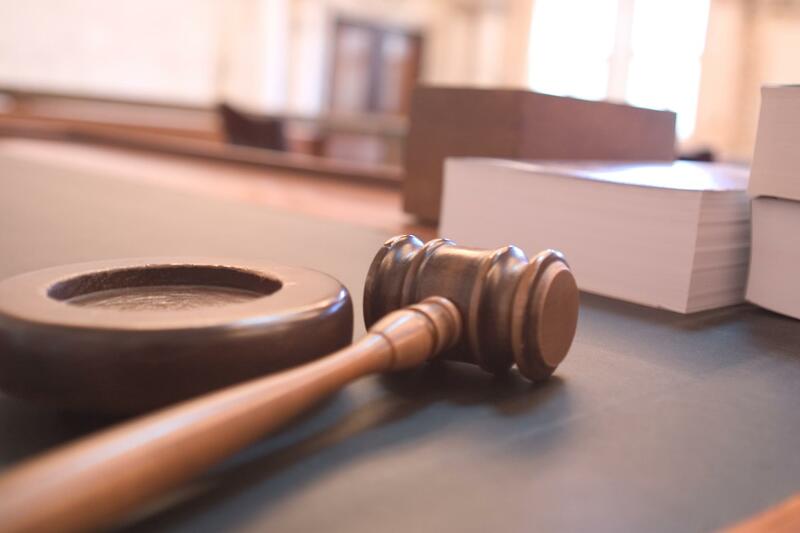 In some courts, it has been common practice for such motions to be heard before arraignment, so that if the challenge is successful, nothing will appear on the defendant’s criminal record. It makes no sense for a charge to show up on a defendant’s record – for years or possibly forever – if it should not have been issued in the first place. Although the Supreme Judicial Court has previously held that a Juvenile Court judge can dismiss charges before arraignment, the Appeals Court refused to extend that holding to adult cases. The Appeals Court’s ruling was primarily based on the Rules of Criminal Procedure, which address the timing of certain motions and hearings. The Court noted there may also be separation of powers concerns under the Massachusetts constitution, given past rulings that a court cannot dismiss charges over the objection of the prosecution without specific authorization by the Legislature or a sound legal basis. But it fails to recognize the practical considerations of allowing a court to manage its own docket and decide when it makes sense to rule on the validity of a complaint. Under the rules cited by the Appeals Court, even if it is obvious from a close look at a complaint that the charges are legally flawed, a judge would have to arraign the defendant (thus generating a criminal record) and set a pretrial hearing – which could be weeks or months later – before the issue could be resolved. In the meantime, the charges would show up as pending on the defendant’s CORI. This makes no sense as a matter of judicial administration, and represents a substantial transfer of power from the judiciary to District Attorney’s offices. While judges may not be able to dismiss charges before arraignment, prosecutors can. Thus, prosecutors will have a significant amount of leverage to convince defendants to accept conditions of diversion or pretrial probation even when the charges are legally flawed and should never have been issued at all. Prosecutors already have significant discretion in what charges to seek and what sentences to propose; this will be one more arrow in their quivers, and one less option available to defendants seeking to avoid lasting consequences from improper charges. This development makes the pretrial diversion law even more important; although pretrial diversion is not available for every defendant or every offense, the new criminal justice bill will expand it, and judges retain the authority to dismiss charges through pretrial diversion without generating a criminal record. Until the SJC or the Legislature addresses the consequences of Moore, I hope that District Court judges will exercise their pretrial diversion powers liberally.